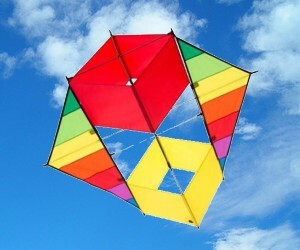 Box and Cellular kites have good flight stability because of their multi-surface design. 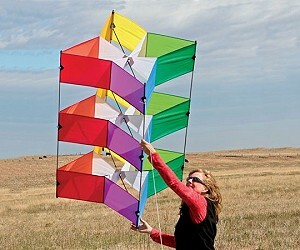 Generally these kites perform well in windy conditions. They are fascinating three dimensional flying structures. 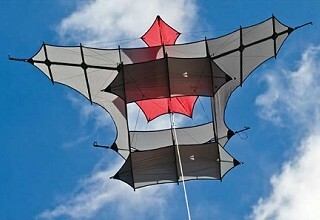 Follow this Box Delta link for winged variations of cellular kites, also known as Conyne Deltas. Add items to your shopping cart from this page. 40" x 20" Rip-Stop Nylon and Fiberglass. Flying Line included. 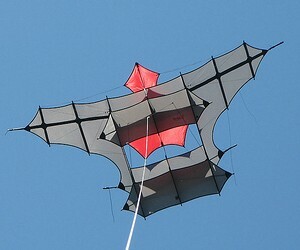 39" wingspan x 33" Rip-Stop Polyester and Fiberglass. 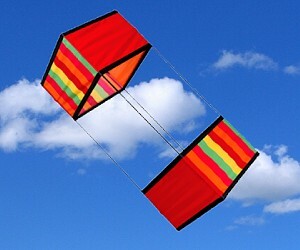 55lbs x 200ft Flying Line included. Removable wings. 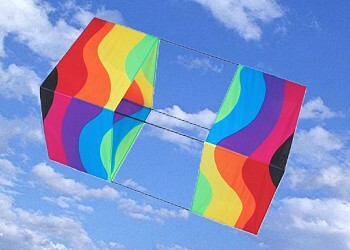 102" wide x 47" long Rip-Stop Polyester with Carbon Fiber spars. Flying Line not included. 61" diameter x 17". 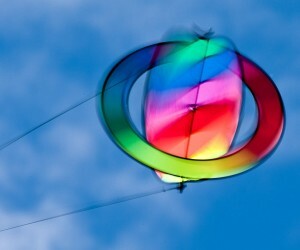 Rip-Stop Nylon with Glass Fiber spars. Flying Line not included. 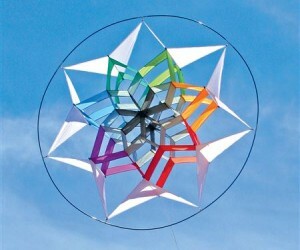 21" wide x 17" diameter Spinning Rotor Kite. Rip-Stop Nylon and Fiberglass. Flying Line included. 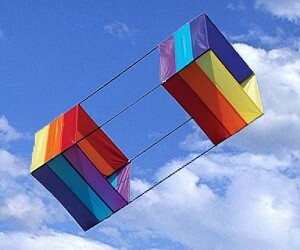 36" wide x 48" long Rip-Stop Nylon with Glass Fiber spars. Flying Line not included.